An experiment has gone terribly wrong. Dr. Peter Hobson has created three electronic simulations of his own personality. One will test life after death; another, immortality. The third one is the control unit. But now all three have escaped from Hobson's computer into the worldwide electronic matrix. And one of them is a killer. "You have to kill him." Imprisoned in the heart of a secret military base, Em has nothing except the voice of the boy in the cell next door and the list of instructions she finds taped inside the drain. Only Em can complete the final instruction. She's tried everything to prevent the creation of a time machine that will tear the world apart. She holds the proof: a list she has never seen before, written in her own hand. Each failed attempt in the past has led her to the same terrible present - imprisoned and tortured by a sadistic man called "the doctor" while war rages outside. Great adventure - couldn't put it down! Heralded as the most significant technological innovation since the smartphone, virtual reality is poised to transform our very notions of life and humanity. Though this tech is still in its infancy, to those on the inside, it is the future. VR will change how we work, how we experience entertainment, how we feel pleasure and other emotions, how we see ourselves, and most importantly, how we relate to each other in the real world. And we will never be the same. Peter Rubin, senior culture editor for Wired and the industry's go-to authority on the subject, calls it an "intimacy engine". In the near future, disease will be a condition of the past. Most genetic defects will be removed at birth; the remaining during infancy. Unfortunately, there will be a generation left behind. For members of that missed generation, small advances will be made. Through various programs, they will be taught to get along in the world despite their differences. They will be made active and contributing members of society. But they will never be normal. As geek culture goes mainstream - from Game of Thrones to the Avengers - it's never been more important to look at the role women play in it and the future they're helping to create. And Kameron is the smart, funny, and profane voice we need to guide listeners through the world of fandom and the coming revolution in pop culture. Titus' ability to read, write and even think for himself has been almost completely obliterated by his "feed", a transmitter implanted directly into his brain. Feeds are a crucial part of life for Titus and his friends. After all, how else would they know where to party on the moon, how to get bargains at Weatherbee & Crotch or how to accessorize the mysterious lesions everyone's been getting? But then Titus meets Violet, a girl who cares about what's happening to the world and challenges everything Titus and his friends hold dear. A girl who decides to fight the feed. Following in the footsteps of Aldous Huxley, George Orwell and Kurt Vonnegut, M.T. Anderson has created a not-so-brave new world, and a smart, savage satire about the nature of consumerism and what it means to be a teenager in America. I had actually read this book years ago. The fact that Audible had it on audiobook was among the biggest reasons I even joined the site. The language is a bit hard to understand, I understand that's a big critique of this book. But it makes more sense to me to have it written the way it was. Yes, it's in some kind of slang and not exactly completely grammatically correct; But the book is a story being told from a teenager. In a world where grammar and linguistics are highly unimportant. It's the same way I feel about the Nadsat in Anthony Burgess' "A Clockwork Orange". Yes, it's also vulgar at times. But again; Do teenagers not talk this way - At least, when not around their parents? The story isn't very original, but it's well told. The language isn't perfect, but it fits well. While the narrator wasn't great, he did a fair job. I say give this book a listen, especially if you're closer to the teen range. 16-20 is perfect, in my opinion. 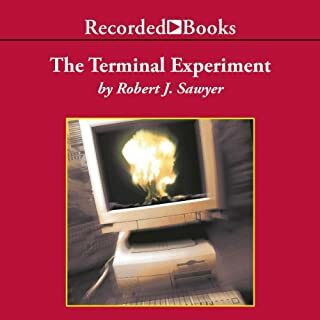 It's message isn't limited to "internet overload" or "saving the earth"; It is my opinion that what you're supposed to take away from this book is the importance of having a desire to learn. Learn as much as you can, while you have the time. And don't just take what information other people hand you. 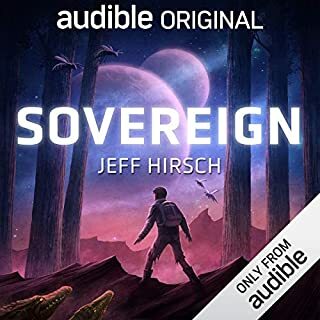 The way that audible produced this book is simply amazing. You *feel* like you're in the story, in this future world. I search often for books done like this. You have to experience it to understand! I don't remember when or how I first heard about this book but it took me a long time to finally read/listen to it. 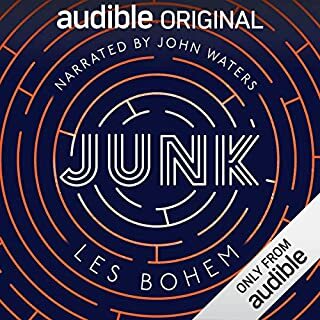 I'm glad I ended up getting this in audiobook format as it's an excellent production, from the narrator's performance to how the snippets of "Feed" were presented. The story itself was unexpectedly strong kept pulling me along so I didn't want to stop listening. The book is a mix of a few devices/themes including the unfamiliar slang of A Clockwork Orange, the satirical advertising of Grand Theft Auto radio stations, and the media critique of the UK television series Black Mirror -- but it takes these in its own direction. Dystopian stories have become more popular lately but this take, although more than a decade old, still holds up. I was not a huge fan of the story or the characters. Fell short for me. Would you ever listen to anything by M.T. Anderson again? What about David Aaron Baker’s performance did you like? I enjoyed his intonation and voices, he made listening to a lack-luster story exciting. 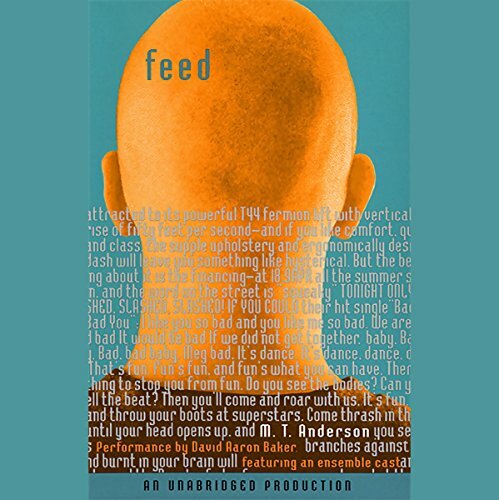 Feed as a novel and as a performance. If you could sum up Feed in three words, what would they be? Feed wasn't written to be enjoyable as much as it was written to point at some of the most uncomfortable aspects of our society. What made this less enjoyable realizing that it was written in 2003 before most of the online website and purchase tracking was as prolific as it obviously is now. I think the highlight of this story is that its lack of enjoyability. What does David Aaron Baker bring to the story that you wouldn’t experience if you just read the book? Having listened to this book outside of class, and then having reviewed that actual, physical text for class, I noticed a lot differences. There are some peripheral examples, like the fact that Baker refers to the school as SCHOOL inc., where as the book has printed SCHOOL TM, but those are mostly material. 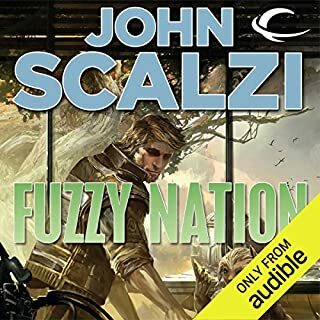 What struck me, and made me harshly aware that I was listening to an audiobook rather than reading a book is the transitions that authors uses to sometimes represent the movement of the story. These breaks consists of blips and excerpts from what we can assume is the modern media of Feed's world. These are commercials for products, presidential speeches, and clips of dystopian cyberpop, and they generally inform us about the political and educational climates of Anderson's world. Where in the text these blips would obviously just be represented by words on pages, the audiobook utilizes its audible element to create actual sound bytes. I think this is important because while it blatantly separates the experience of hearing the book from reading it, it also emphasizes the benefits of multimodal media (which i support as a cool sort of genre of media). Anderson's Feed creates an apt examination of an increasingly connected, digital America. The story is intended more for reflection than for the exciting, street-samurai plot one might expect from this sort of cyberpunk distopian genre. I don't think we're intended to like the character, or necessarily the story. Nevertheless, this is an important and (hopefully extreme) prediction of how humanity can contort the intentions of technology. Having read this ten years after it was written, and only a few weeks after the now ominous announcement of google's smart glasses, I really appreciate this story and I recommend it to anyone. This excellent novel is alternately frightening and hilarious. If you thought the kids from Jersey Shore were dumb, wait until you see how teens in the future world of "Feed" are presented. They are dense to begin with, and made more dense by their media- and consumer-soaked environment. Like any good dystopic novel, the future is recognizable (as it is based on trends that are prominent in culture today) and also a slap in the face. At times I wonder if the humor is overplayed. At the heart of the plot is an extremely tragic situation, and when it hits, you feel caught off-guard. But that's a relatively minor criticism, as the work as a whole holds up very well and packs a punch. The narration by David Aaron Baker is fantastic! He captures the voice of teenagers in an utterly charming and entertaining way. His performance suits the story perfectly. A warning: be advised that this book is quite short. The running time is about half the running time of something like Hunger Games. This book was hard to get into at first, but it's overlying theme of internet overload and protecting the earth was difficult to avoid. The author stated his case and the book leaves you with many questions. The author, who also wrote "Game of Sunken Places," is a master story teller. The story takes a bit to get into; the swearing and "valley speak" were heard to get past. You are quickly immersed in an America of the future in which everyone is hardwired to the internet and are constantly bombarded with consumerism and dull entertainment. A not-so-unique spin on an old sci-fi theme, but it has its eyebrow raising moments. 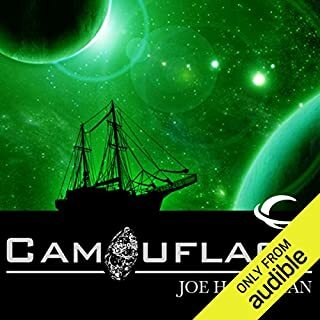 This book is great for a scifi fan over 15 yo. The language is very rough and, due to the lack of ability to communicate effectivly, much of the characters' emotions are inferred. A fine teenage romance set in a distant future when people--at least the middle and upper classes--communicate by "feeds" rather than our analog senses of hearing and voice. In this particular world of feeds, consumerism runs rampant, as the feeds provide a constant stream of advertising as well as serving as a vehicle for interpersonal communication. The public policy and moral issues raised by a world of such feeds are only ambiguously touched on, except for a generally highly negative portrayal of the commercial implications of such technology. The teenage love story, a tragic coming of age story, evokes genuine sadness. In this case, it has an extra twist, as it also involves the teenagers' discovery of what was lost when most of humanity transitioned to feeds. Particularly good as a voiced book given the subject matter. Worth encouraging teenagers to listen to, particularly those whose world is lived online. Encapsulates the mood so well! The narrator accurately conveys the stupidity of the general population in his voices, and the jungles and advertising from the feed throughout exemplifies the overwhelmingly constant consumerism and advertising playing constantly in the characters minds! 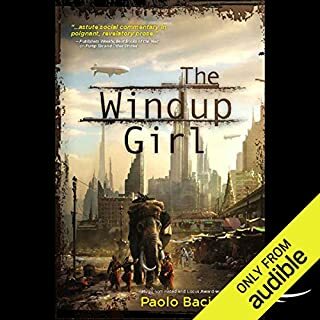 An excellent audio adaptation of the novel! Should be a warning an a sign of the times for our social media sarurated world. A beautiful story with fantastic narration.